Deep cleans, instantly leaving skin smooth and glowing. the 2010 Glammy for Best Body Product. Over the centuries, the Swiss have developed and perfected their secrets for naturally beautiful skin. 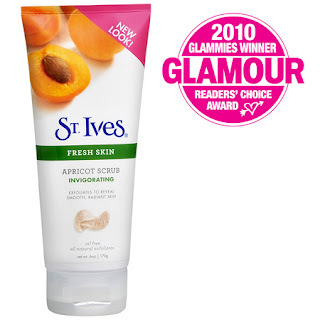 St. Ives captures these secrets in this deep cleansing formula with 100% natural exfoliants that gently exfoliates, removing dull skin cells to instantly reveal smooth, radiant, healthy skin.